In 1580 Sir John Fortescue, cousin and personal advisor to Queen Elizabeth I, became the owner of the Manor of Salden, near Mursley. He built a magnificent palace at a cost of £33,000 (which would be hundreds of millions of pounds in today’s money) where he enjoyed entertaining Royalty and the Nobility. 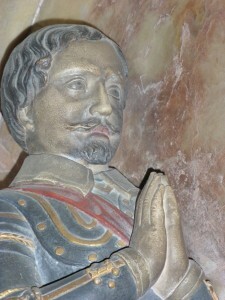 Sir John Fortescue (born 1531, died 23 December 1607) of Salden, near Mursley, Buckinghamshire, was the seventh Chancellor of the Exchequer of England, serving from 1589 until 1603. Fortescue served under Queen Elizabeth I and was knighted in 1592. He was member of Parliament for Buckinghamshire from 1588 to 1598. 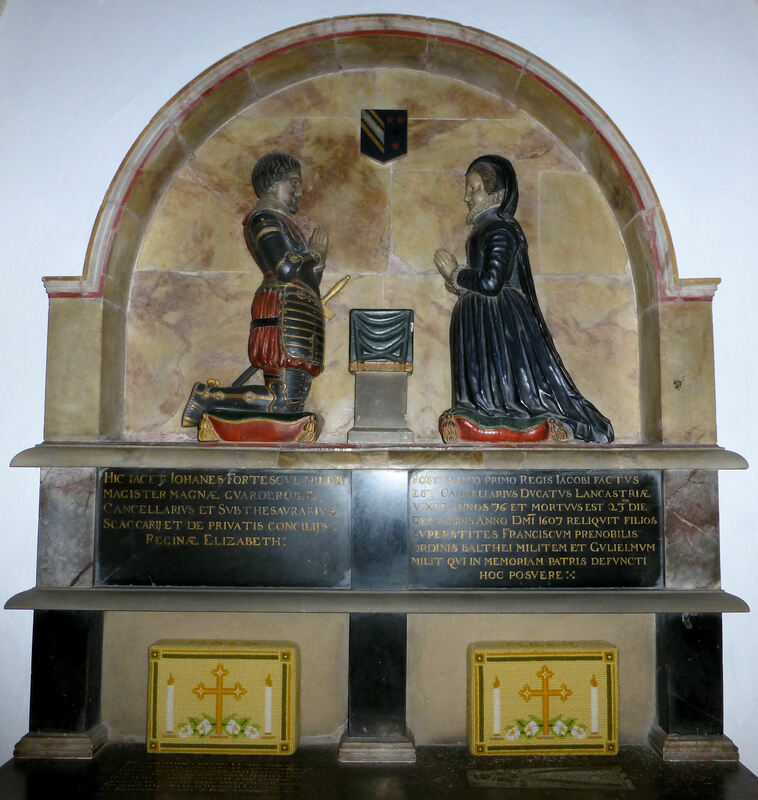 Swanbourne was a manor that was situated near to Salden – and he seems to have acquired it around 1590. In Swanbourne, Sir John definitely ordered the building of the stone Manor House near the church, supposedly as a country retreat from the hoards of beggars that would frequently besiege the Salden mansion. It seems highly likely that what is now called the Old House (prior to the Fremantles, Swanbourne House) was also built for Sir John. After 150 years the property was divided and the Salden mansion was demolished except for one wing which still exists as a farmhouse today. 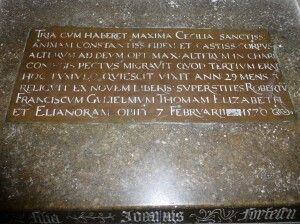 Inscription on the Fortescue tomb.